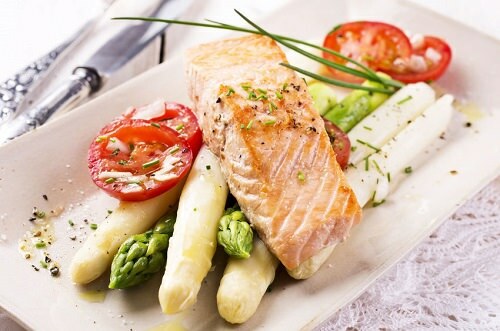 The high levels of omega-3 oils found in fish help to reduce tissue inflammation, thereby alleviating some of the symptoms of inflammatory conditions such as autoimmune diseases, psoriasis and rheumatoid arthritis. In addition, the anti-inflammatory effects of fish oil have been shown to promote overall cardiovascular health as well as increasing lung capacity. This is good news for asthma sufferers, who are 31% less likely to reach for the inhaler during exercise when they are exposed to a fish-oil rich diet. Recent research has indicated that including oily fish in the weekly diet, particularly in the case of young children, is likely to decrease the risk of developing asthma throughout their lives. Consider eating asparagus with salmon at least once a week. Asparagus has incredible anti-inflammatory effects and it’s an excellent source of antioxidants.